Aaron Hicks returns to the show to ask Dr. Alex Gee questions as a father and mentor to him. The discussion covers the importance of surrogate fathers for the fatherless. Aaron and Dr. Gee model the support and vulnerability needed between men to have a healthy family. The two men share how you turn your mess of a childhood trauma into a message that can be passed on to others. Aaron explores how the prison system and re-entry process limits the ability to maintain family commitments and the father’s presence in children’s lives. 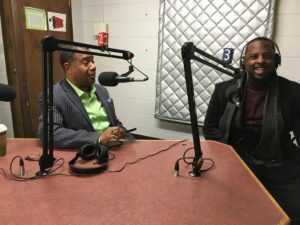 Aaron Hicks is the Assistant Director for Reentry Services at the Nehemiah Center for Urban Leadership Development in Madison, WI.